At U of G we recognize that there is no single way to learn and not everything can be taught in a classroom. This is why we offer MANY experiential learning opportunities to allow you to apply your knowledge outside the classroom, network within your industry, and become more prepared to work in your field after graduation. We define experiential learning as learning through action and reflection. We break these learning experiences into three main categories: Curricular and course-based, Co-curricular and Extra-curricular. Over the next few weeks we’ll be outlining specific examples of experiential learning in our various degree programs and majors. Be sure to check back on our website for these articles and to learn what you can look forward to during your time here at Guelph! This is a reminder to all international applicants that the deadline to apply for fall 2019 admission is next Friday, February 15, 2019. International applicants can visit the Admission Services website for details on how to apply and submit your documents. Be sure to check our calendar for other important upcoming deadlines to make note of. Connect with us on social media and send us any questions you may have about the application process. Welcome to February Future Gryphons! This article is for all you out-of-province applicants and admitted students. 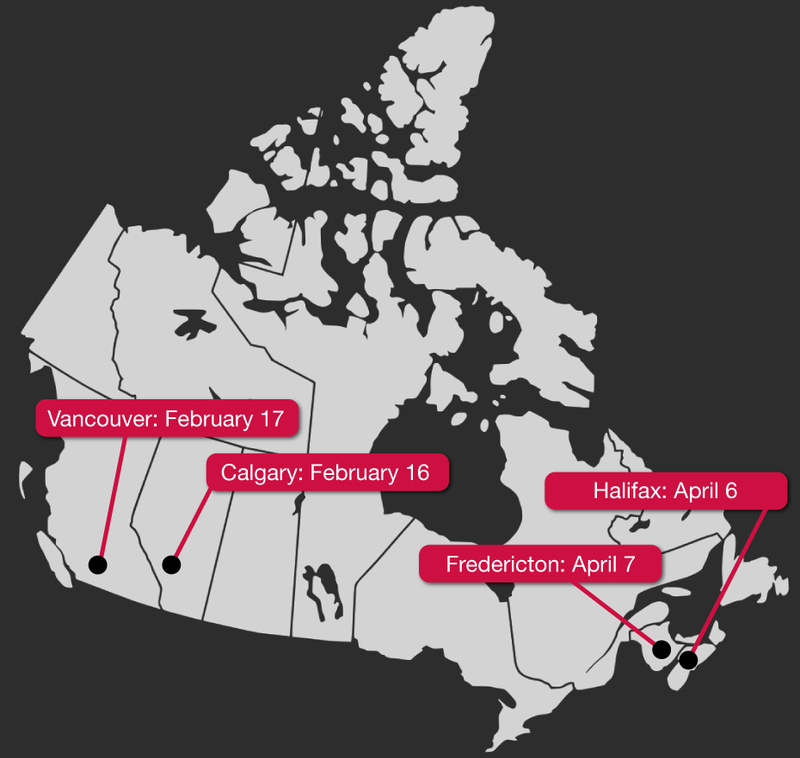 Out-of-province applicants and admitted students in selected cities across Canada are invited to attend one of our National Receptions to learn more about living and learning at the University of Guelph. We invite you and your parents/guardians to attend a brief presentation, after which you will have the opportunity to ask your own questions of U of G staff and alumni. Registration is open now – be sure to RSVP if you plan to attend. Reception dates and locations are listed below. We hope to see you there! If you have more questions about the National Receptions or are unable to register online, please call us at: 519.824.4120 x56056. Today is #BellLetsTalk Day – a day encouraging us all to join the conversation and help end the stigma surrounding mental health illness. Here at U of G, we recognize that even the most well-rounded students need support, whether that be academically, physically, mentally, or emotionally. 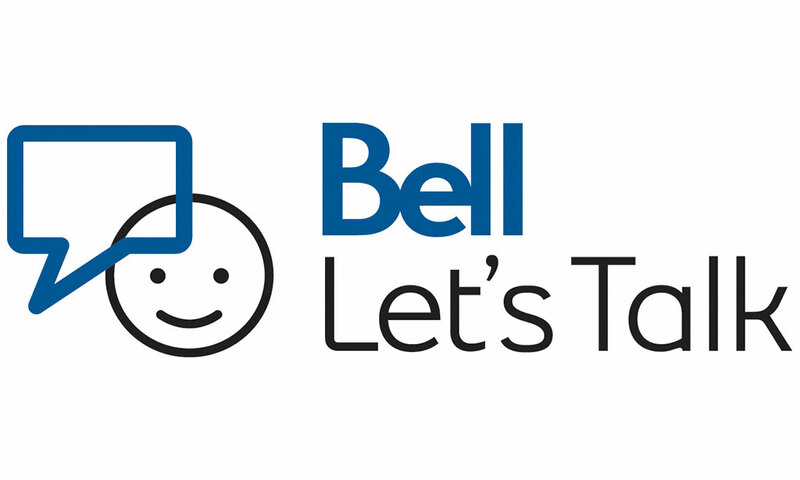 In support of #BellLetsTalk, we’re sharing the supports offered to students on campus as well as additional resources available to anyone who needs support. The Student Support Network is a community offering non-judgmental drop-in peer support. Our student volunteers are trained to deliver this service. You can drop-in during their hours, or chat with them after-hours via their phone support or crisis line (crisis services: 1-844-437-3247 or Good2Talk: 1-866-925-5454). Our student wellness services provide a holistic approach to well-being and academic success. Whether you are a varsity athlete or a student in need of a relaxing massage, these services are available for all Gryphons! Accessibility Services is committed to creating a barrier-free environment so you can thrive at university! Counselling Services is here if you ever need to chat. They offer individual counselling sessions to support you through personal challenges. Health Services is our on-campus clinic offering physician and nursing services to full and part-time students. Health & Performance Centre provides various physical/athletic related services such as. This service offers resources and support for yourself, or a friend, who might be in need. Students are at the heart of what Student Life does. Their programs, services and spaces are available to everybody. Check out their list of programs to see all that Student Life offers students. The Aboriginal Resource Centre provides a home away from home for all First Nations, Metis and Inuit students. Think of it as an inclusive community for people from a variety of Indigenous cultures meant to help you connect with each other through Student Advising, an Aboriginal Student Association, student support and STARTAboriginal (meant for first year students). OUTline offers services for the LGBTQ2IA+ community. They are your go-to if you have questions related to sexual orientation and gender identity, or are seeking support. U of G is a diverse and inclusive community. The Office of Diversity and Human Rights helps to promote a study, work and living environment free of harassment and discrimination. Campus tours have officially returned for the 2019 season Future Gryphons! Our tours showcase some of our student residences, lecture halls, dining facilities, the library, athletic facilities, the main administration building, and several general academic areas. Whether you’re deciding where to apply, have already applied or even if you’ve been accepted, campus tours are the best way to determine if you can picture yourself here in the fall! Plus, our Tour Guides are all current U of G students, so you can be sure that you’re learning all the in’s and out’s about life as a gryphon from the best source! We offer tours at 10:00am and 1:30pm Monday through Friday, and at 1:30pm most Saturdays. Each tour runs approximately two hours, and visitors are encouraged to dress for the weather. Book your campus tour today! Our annual Telethon is your chance to connect one-on-one with a current U of G student and ask any questions you have about life and studies at the University of Guelph! This year it will run from January 31 until March 8, 2019. Today we’re sharing our top Telethon tips so you can make the most of your time on the phone with our Telethoners. TIP #1 – Answer the phone! Starting January 31, our dedicated army of student ambassadors, who we refer to as “Telethoners”, will be calling YOU (yes – on the phone!) to invite you to our spring events and chat one-on-one about the program(s) you’ve applied to, our campus, and student life. You’ll be able to ask any questions you may still have about our programs and what life at Guelph is really like! Our Telethoners are prepared to answer questions about student life, residence, campus buildings and can even answer your program-specific questions. Still not sure what to ask when we call? Check out the list of sample questions below for inspiration! What is the Student Profile Form and how do I submit it? When will offers be sent out? What residence did you live in? What was it like? If I decide to commute or live off campus, how can I make friends? What kinds of activities are organized in residence? How are residence rooms decided? What about roommates? Are there any clubs for [insert your interests here] that I can be a part of? Can I study abroad in another country? What student support services are there on campus? How long will it take me to get from one class to another? What kinds of events happen on campus? What is there to do in the city of Guelph? What has been your favourite class? What kinds of co-op jobs are available for my program? Where can I go if I need help with a class? Do you have any course recommendations? After January 31 we will be making calls from Monday – Thursday from 5-9 pm, and 11 am – 5 pm on Saturdays and Sundays. We will not make any calls on Fridays or during our students’ reading week which runs from February 18-22. Miss your call? No problem! We’ll try again later. TIP #4 – Feedback is appreciated! This one is self-explanatory, but you should know, we appreciate your feedback and we know our callers do too! We strive to keep you as informed and supported as possible during the application process. From our ongoing chats, to answering questions via our social media platforms, email and over the phone, we’re always here for our Future Gryphons! Please note: our Telethoners cannot answer admission questions related to whether you’ll be accepted, if your marks are good enough, etc. nor can they look up the status of your application! Attention Future Gryphons: Today is the Early Application Deadline! We repeat, THE EARLY APPLICATION DEADLINE IS TODAY! If you are a Canadian high school student hoping to be considered in our early round of admissions, please submit your application through OUAC today. These early offers will be appearing in mailboxes from late January – early February. In this first round of offers we are looking at your top six completed 4U/M courses, including required subjects. Where not available, we will use a combination of the top six completed 4U/M and 3U/M courses, including required subjects. Offers in this round are typically made to applicants with an admission average exceeding the estimated cut-off range for the program applied to. For a full explanation of when offers go out, what grades are used when, and what the cut-offs will be, check out our Admission Plan webpage. The regular application deadline for Canadian applicants is March 1, 2019 so if you can’t apply today, you do still have time. Just keep in mind you won’t be hearing from us until later in March, at the earliest. The deadline for international applicants to apply for fall 2019 admission is Thursday, February 15, 2019. International applicants can visit the Admission Services website for details on how to apply and check our calendar for additional information on upcoming deadlines. That’s it for reminders today #FutureGryphons. Be sure to check out our recent article on upcoming deadlines for things to keep in mind as we move through the application cycle. 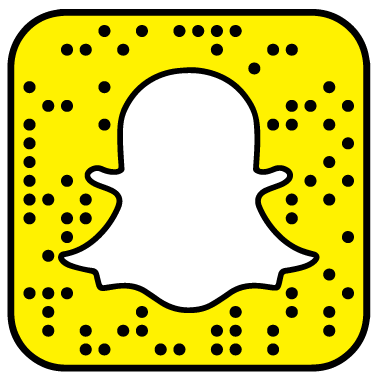 Did you know that we offer both general and program-specific Snapchat chats? That’s right Future Gryphons! To join our chats, follow “uofgadmission” on Snapchat. During the chat time, you’ll send us your question via the chat feature and we will answer them on our story. What are you waiting for Future Gryphons? Add our Snap Code and ask us your questions anytime. Have questions about our academic programs, their highlights, course loads, and our student supports? Check out our chat schedule and join the chat that best suits you! We offer 1-2 chats every week until the end of May. The program chats feature faculty, counsellors and current U of G students who would LOVE to help answer your program-specific questions! Our chat schedule outline what programs we’re chatting about and when. Today we're chatting about our science programs so be sure to check it out if you are interested in studying science at U of G! Even if you aren’t sure what to ask, you are always welcome to simply watch our story, and observe what your fellow #futuregryphons are asking. We might answer questions you never knew you had. Switching gears from our bachelor’s degree programs – today we’re sharing the five main facts about our Associate Diploma in Turfgrass Management. 1. What is an Associate Diploma? Our Associate Diplomas provide both applied and practical education on the latest technologies in a specific field. Students will gain industry experience through classroom lectures, labs and through exposure to research. These programs are typically two years and include an industry work placement. For a complete list of our Associate Diploma programs visit our website. Our Turfgrass Management program utilizes University of Guelph faculty, staff and industry professionals as well as the resources of the Guelph Turfgrass Institute including the grounds, workshops and laboratory facilities of the Institute. You will combine practical and scientific study with hands-on learning through field trips, projects and a summer internship. Visit the program page on our website to check out sample first year courses. Turfgrass Management students with a cumulative average of 70% or higher may qualify for acceptance into a degree program with advanced standing. Visit the Admission Services website for more information. 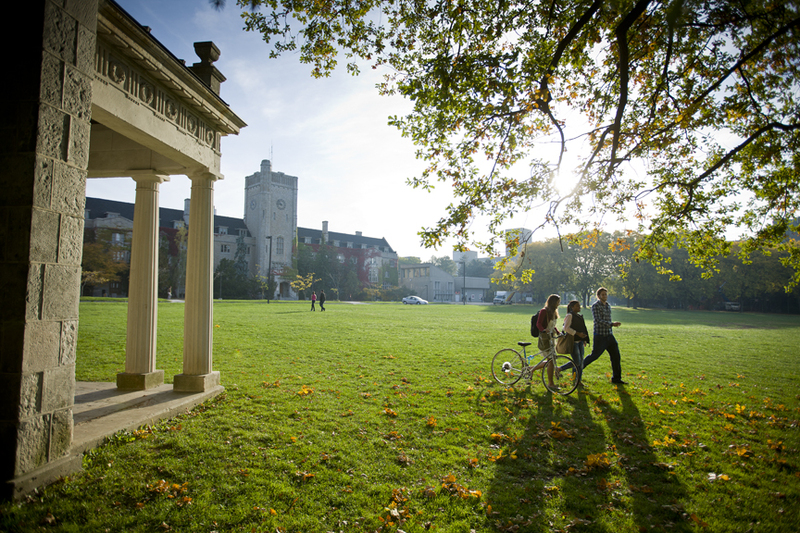 While U of G offers several Associate Diploma programs, Turfgrass Management is the only one that allows you to study on the main University of Guelph campus. This means that during your two years of study, you can join clubs, play intramurals, dine on campus, take advantage of student supports and truly get the university experience. Join the internationally renowned Ontario Agricultural College and study Turfgrass Management at the University of Guelph. If you are interested in this program, be sure to visit our website and don’t forget to fill out our Background Information Form. School is back in session and we know you’ve got a lot on your mind. That’s why we’re going to keep this simple and give you some info on important things to keep on your radar if you’re hoping to join the gryphon family in 2019. 1. Our early application deadline is coming soon! The early application deadline is January 16 (January 15th for international applicants) so if you’re hoping to be considered in our first round of admission offers, plan on submitting your application through OUAC ASAP. The regular application deadline is March 1, so if you can’t get your application completed for the January deadline, you do still have some time. Just keep in mind the later you apply, the later you will hear from us. Check out our Admission Plan for a full explanation of when offers go out, what grades are used when, and estimated cut-offs to aim for. We’ll be publishing more info about some of our great scholarship opportunities in the coming days, but for now, feel free to visit the Student Financial Services website to learn about our entrance scholarships. A special application is required for some of the larger scholarships (such as The President’s Scholarship) with an application deadline of January 25. We strongly encourage you begin your application for these larger awards NOW! The SPF is a great opportunity for you provide us with some extra info about yourself. Use it to tell us about your high school experience – your involvement, your struggles, your extracurriculars… include what you want! Check out our recent SPF article for more details and keep in mind any SPF forms must be submitted by May 1, 2019 (March 1 for international applicants). We’ve got a bunch of general and program-specific Snapchat chats lined up for the coming months as well as many helpful staff and student volunteers just itching to answer your questions! Visit our Online Chat page for a full list of chat dates. 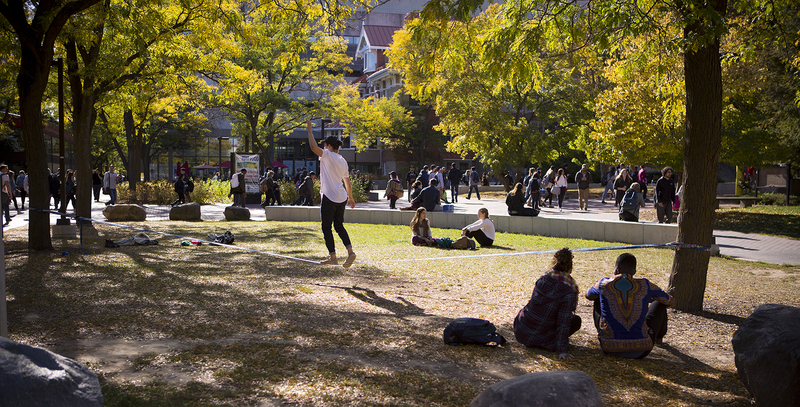 Do more than just picture yourself at Guelph – come and visit our campus! We offer campus tours led by current students, which include visits to residences, lecture halls, the library, the athletic facilities, and more. Winter tours run from January 14 – April 5, and March Break tours run from March 11-15. Visit our Campus Tours page to book your tour today! You can also visit us for Campus Day on Sunday, March 24. This is a full day open house where you and your family can tour campus, check out residence, attend info sessions and meet current students, faculty and staff. Registration and event details will be available in late January. That's it for now #FutureGryphons. Be sure to follow us on social media and check back here for more important dates, deadlines and updates!